Room 8 is a very nice light and airy double situated on the first floor. It has recently been redecorated and refurbished. 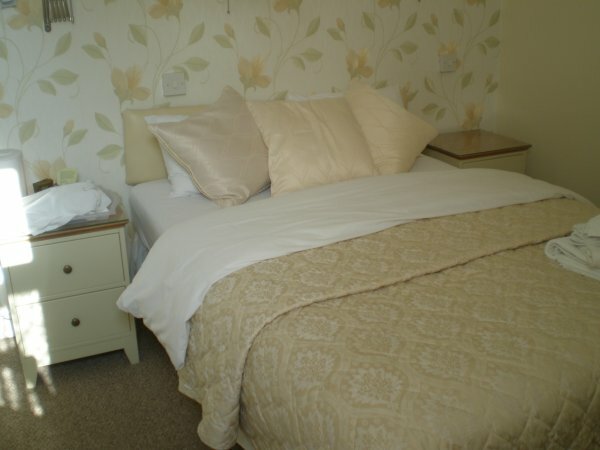 This room consists of a comfortable double bed, plenty of wardrobe and cupboard space, a hair dryer, and a remote control TV with built in free view and DVD player. Free WiFi is available. 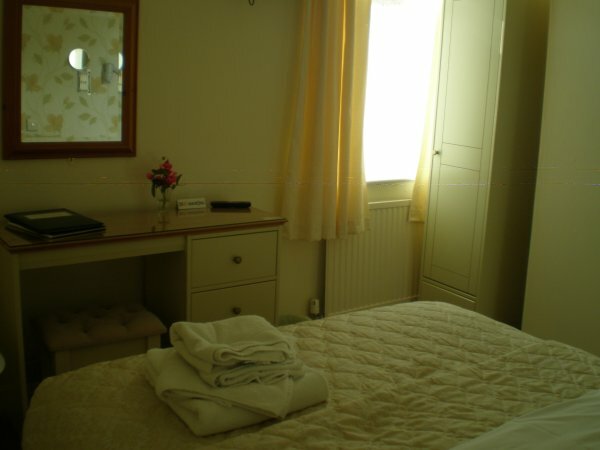 A full tea and coffee tray and fresh towels are provided daily. 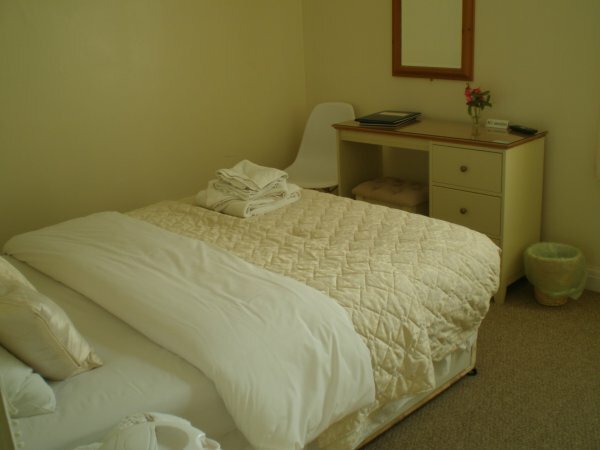 The en-suite bathroom consists of a shower, toilet, wash hand basin and a range of complimentary toiletries. An exterior door can be locked in the hallway turning rooms 8 & 9 into a more secure family unit sleeping up to 5 people.